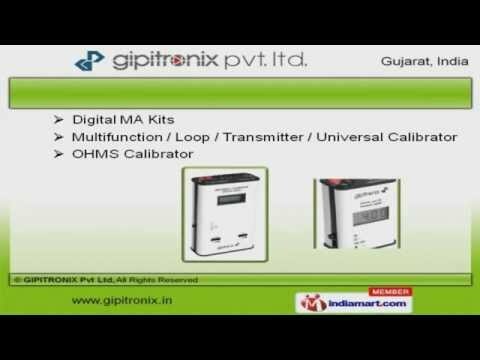 Welcome to GIPITRONIX Private Limited, Manufacturer and Supplier of Electronic Process Control Instrumentation. The company was established in 1992 at Vadodara. Our products are applicable in Mines, Sugar Factories, Refineries and other areas. We are well known in the market for our Cutting edge technology, immense industry experience and Timely delivery of the products. We offer a wide variety of Multifunction Process Calibrators, Temperature Scanners and RTD TC Simulators. Multifunction Process Calibrators offered by us are well known for their outstanding performance. Our Digital MA Kits, Multifunction and OHMS Calibrator are widely demanded in the market. We also provide Process and Temperature Indicators that are extremely reliable. Our Temperature Scanners are setting a performance standard in the market. We have gained tremendous expertise in providing RTD TC Simulators that are highly efficient.